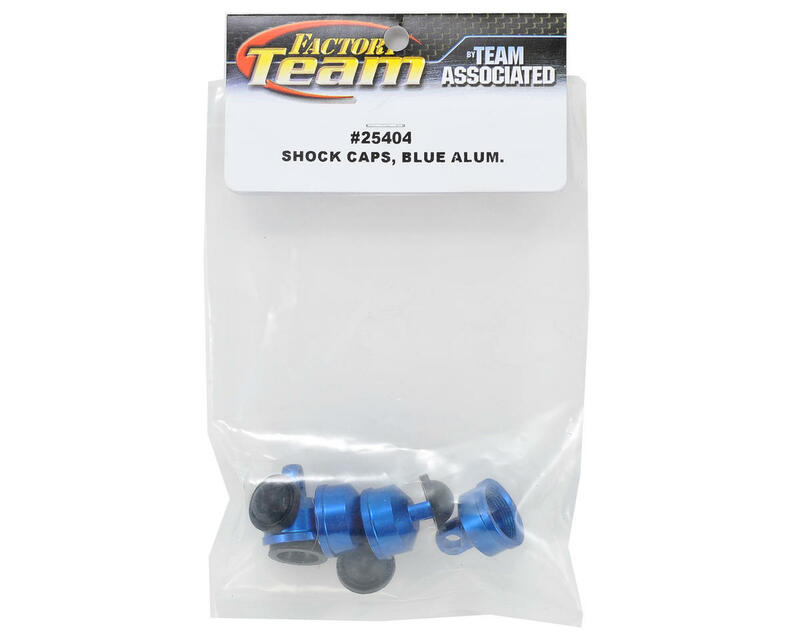 This is a pack of four optional Team Associated Blue Factory Team Aluminum Shock Caps. 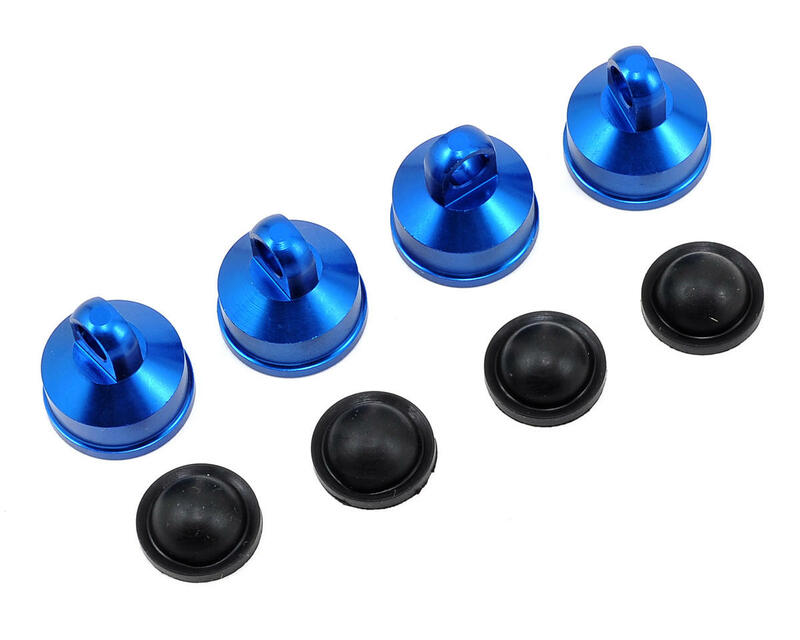 These stylish caps are made from aluminum material and then anodized Factory Team blue. This package also includes four shock bladders.